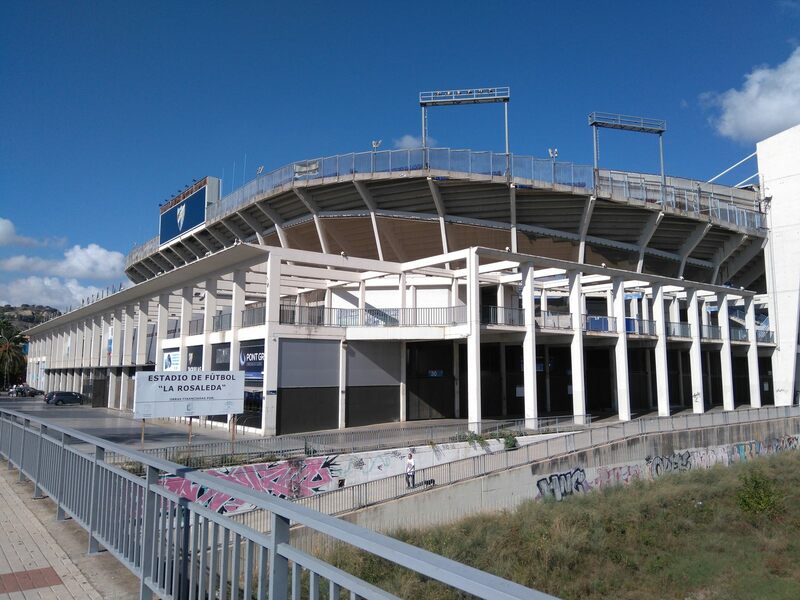 La Rosaleda, literally „The Rose Garden”, is a stadium first used in April 1941. 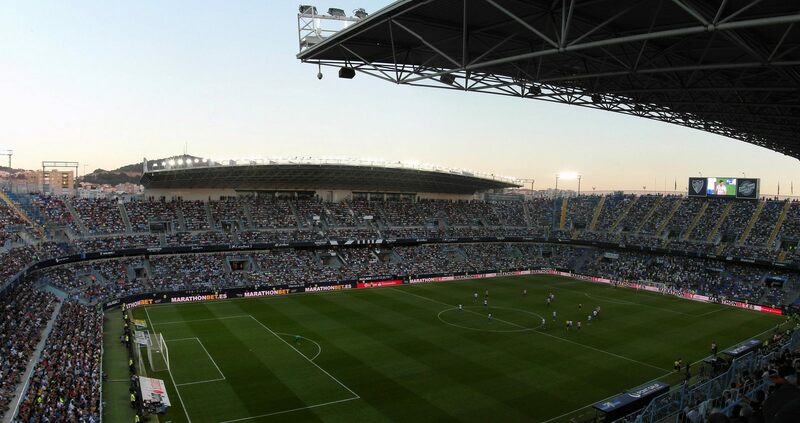 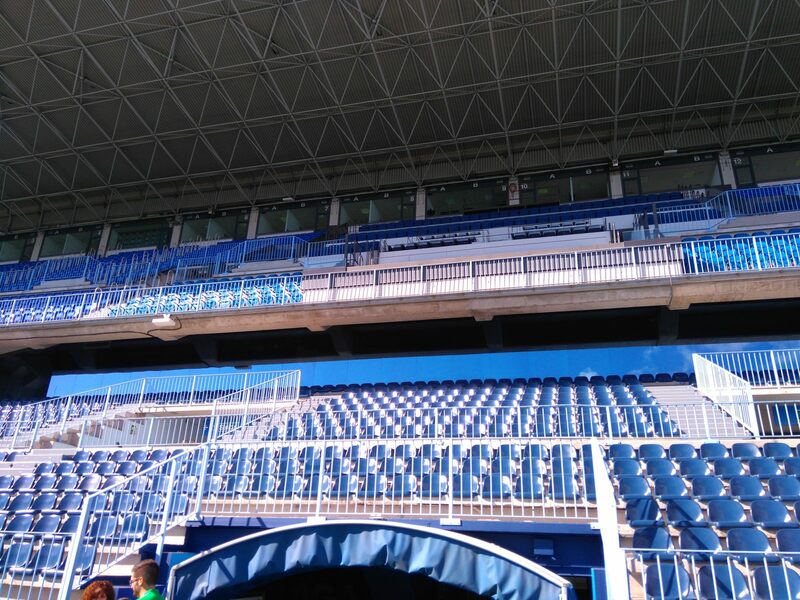 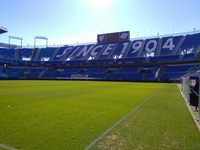 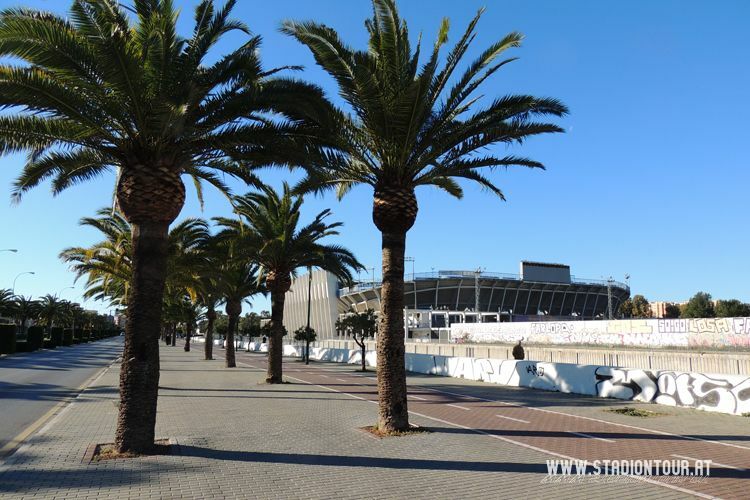 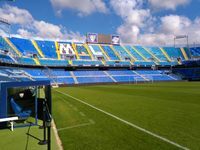 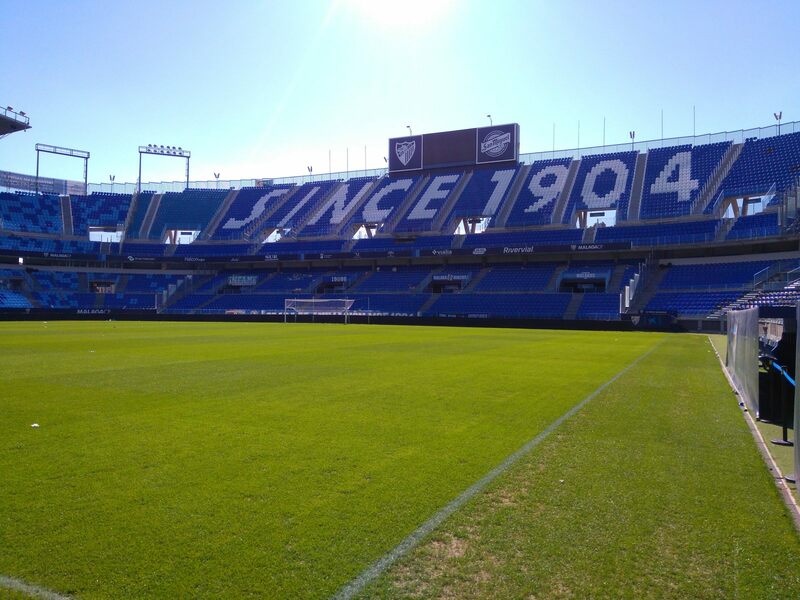 That wasn’t the official opening though, first game was played when flood covered the previous ground of CD Malaga. 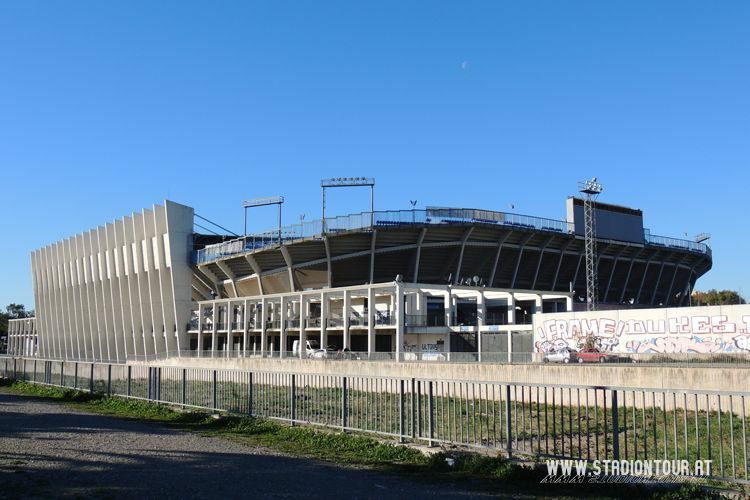 Formally the new venue was inaugurated in September 1941, though nothing is left of that stadium today. 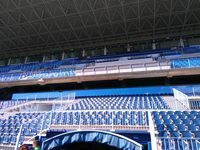 In 2000-2006 complex revamp took place, resulting in four two-tiered stands that accommodate nearly 30,000 people. 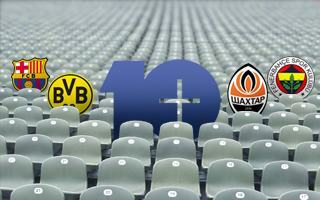 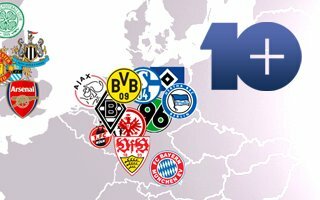 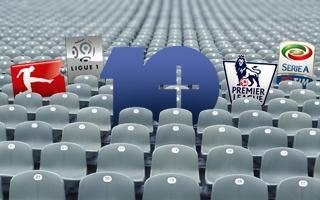 Those alongside the pitch are covered, those behind goals – uncovered and higher. 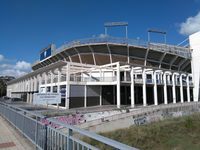 Although built of concrete that was left uncovered, it’s an interesting piece of architecture. 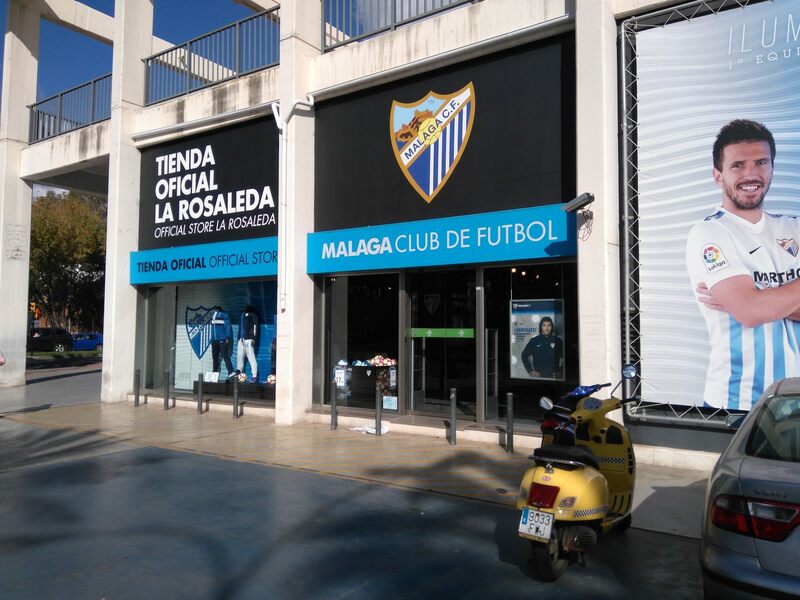 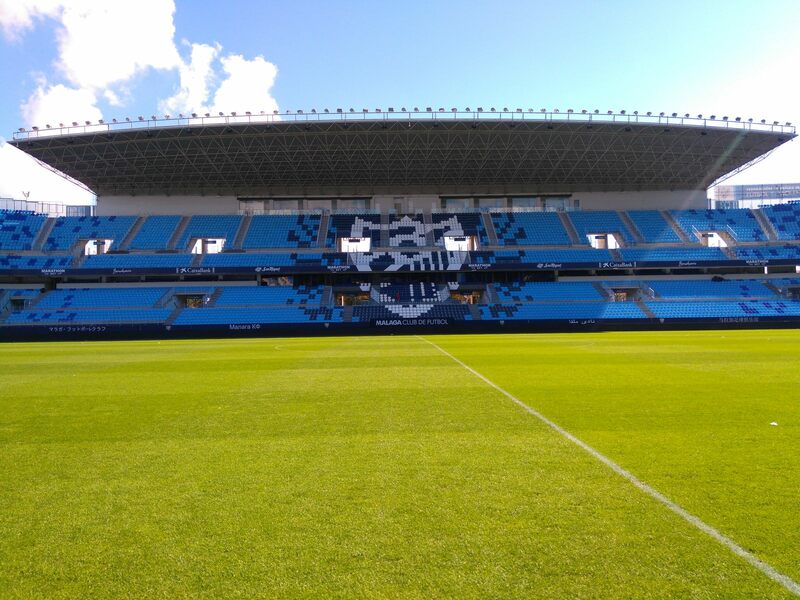 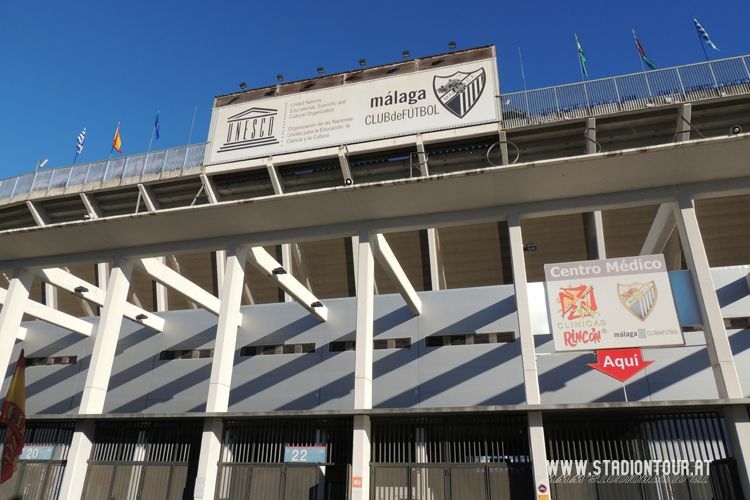 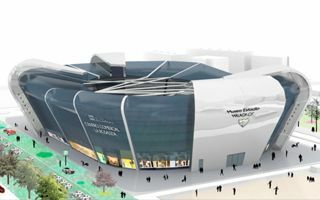 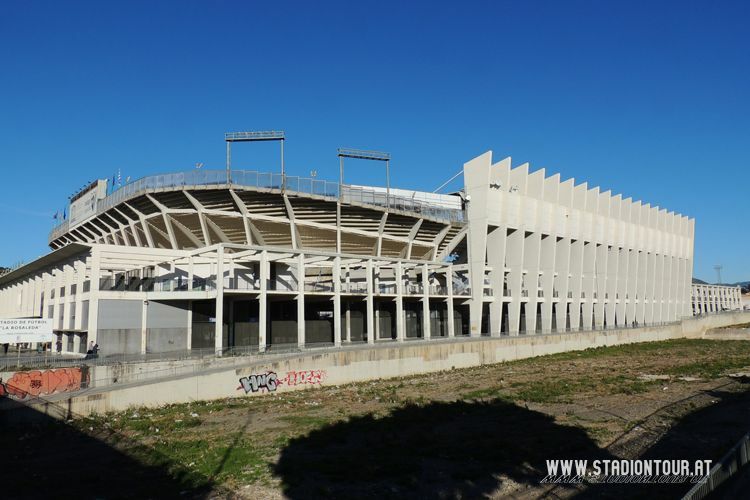 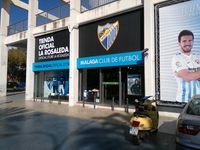 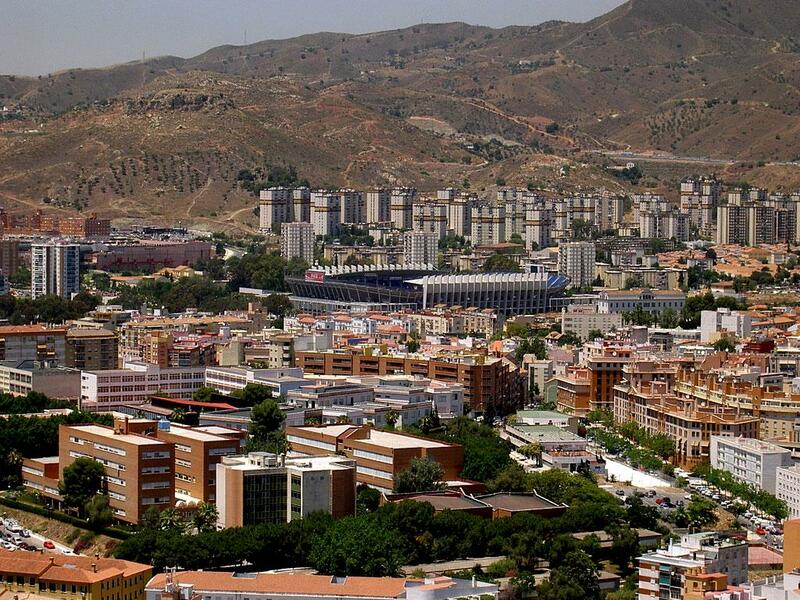 Initially owned by the club, Rosaleda’s ownership changed when CD Malaga was announced bankrupt. 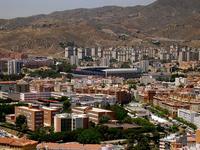 Currently shares are divided into three equal parts between the city, province and regional authorities.